Learn how to make the most of Reply integration with your Close.io account: connect apps, sync data, map fields and automate workflows. Open the Integrations page, select Close.io and click Connect. Enter your Close.io API key* and click Authenticate. Note: you can find the Close.io API key under Settings - Your API Keys. Open the Mapping tab of the Close.io integration. The Full Name and Email fields in Reply are mandatory and cannot be changed. Click Add field mapping, for example Title - Title. Create people from contacts. The option lets you fetch your Close.io contacts to Reply. Update people from contacts. When you update a contact in Close.io, Reply also updates it. 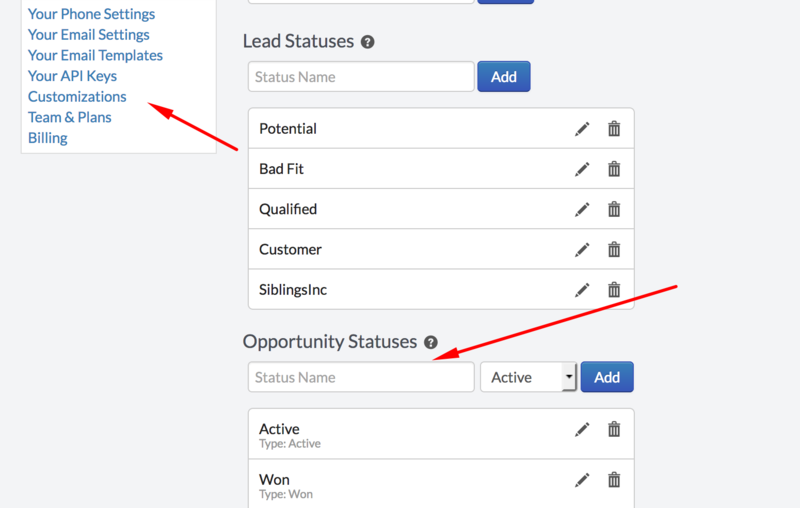 Auto-update statuses in CRM. The option lets you update an opportunity status in Close.io depending on the contact status in a Reply campaign. Push to Campaign. The option lets you adding a contact from Close.io to an ongoing Reply campaign. Toggle the Create people from contacts slider. Your Close.io contacts appear on the People page of your Reply account. After the first time all new contacts will be automatically fetched by Reply. You can also fetch Close.io contacts using custom query (apply to Leads in Close.io) with native Close.io syntax. For example - city:New York will fetch all contacts from New York. To use more complex queries just filter data in Сlose.io and copy query from search field as in screenshot. If you want your contacts updated with changes made in Сlose.io, select the ' Update people from contact' option and Reply people will reflect those changes. Toggle the Update people from contacts slider. Add contacts to this opportunity. Assign a contact to the opportunity and indicate its name. 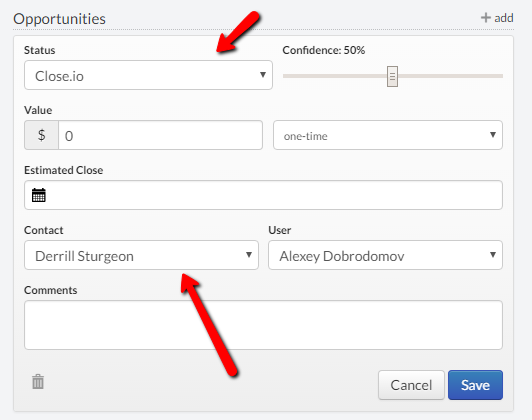 Note: add a custom opportunity statuses on the Customizations page of your Close.io account. Make sure the campaign name in coincides with the opportunity name in Close.io. Create opportunity statuses with the same names as inbox statuses in Reply. Toggle the Auto-update statuses in CRM slider. After the contact changes their inbox status in Reply, they also change their opportunity status in Close.io.